A conversation at the breakfast table this morning led to mention of E.V. Wright’s Gadsby (1939), a novel of no insignificant length that gets by without the letter E throughout its 50,000+ words. (I’ve not read it, but it’s apparently in print and buyable. Note also Georges Perec’s 1969 French novel, La Disparition, with several translations.) Avoiding this or that letter is a kind of constrained writing called a lipogram, but other kinds of constraint include palindromes, alliteratives, univocalism, attention to etymological source (e.g. avoiding latinate words in English), and acrostics. Meter and rhyme are the most typical constraints in much poetry. Acrostic poems are well known in various languages, including English, but here we are mainly concerned with alphabetic acrostics. (For Hebrew, see the discussion, with several examples, of W.G.E. Watson, Classical Hebrew Poetry, 190-200, with bibliography, and for later examples see T. Carmi, The Penguin Book of Hebrew Verse, e.g. 206-207, 221-223, 223-224, 233-234, 235-238.) In Syriac, alphabetic acrostic poems, both mēmrē and madrāšē, are plentiful. Ephrem provides many early examples of strophic (as opposed to stichic) acrostics, and Andrew Palmer has studied them (see bibliography below). The hymn Res. 1 is not an alphabetic acrostic, but actually spells out Ephrem’s own name in the beginning strophes and then follows with strophes that all begin with M (vocalized text and ET in Brock and Kiraz, 80-95). The hymn Nis. 1 is an alphabetic acrostic, but it generally skips every other letter, the exception being the sequence P-Q (ʾ g h z ṭ k m s p q š; text and ET in Brock and Kiraz, 224-245). There are also other patterns, even reaching across several poems: № 7-15 of the hymns on Abraham of Qidun (ed. Beck, CSCO 322) follow the alphabet from start to finish with varying numbers of stanzas given to each letter. We also find acrostics in dialogue poems, e.g. in text 3 of the collection published by Brock (pp. 13-14) we have, after a proem, each speaker beginning a line following the order of the alphabet up to ḥ, at which point the rest of the poem is lost. Several other texts in the collection (e.g. texts 8, 9) follow the same pattern and are complete. 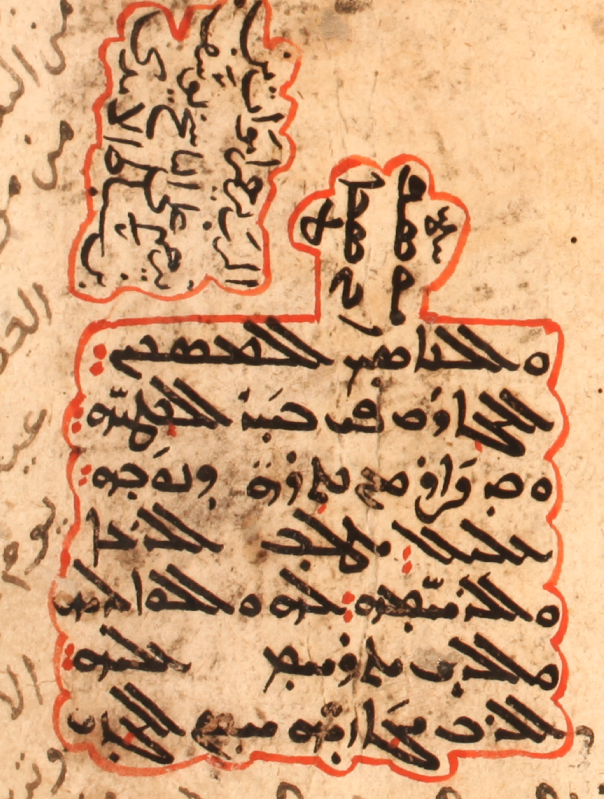 There are countless other acrostic poems in later Syriac literature, many still unpublished. That I might bow before [his] feet. Him who chases away every bad thing. Whose virtue springs up openly. And perfect in every way with variety. The T-poem has its lines ending in adverbs in -āʾit, and similarly pp. 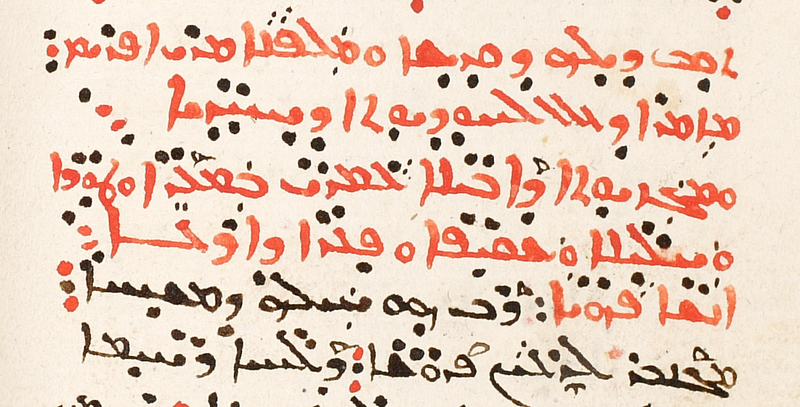 205-208 of these same two manuscripts have a mēmrā on fasting by John Ismaʿil (d. 1365 according to the manuscript), Patriarch of Antioch and nephew of Ignatius b. Wahīb (on whom see Graf, GCAL II: 271), in which every line of the poem ends with an adverb in -āʾit. 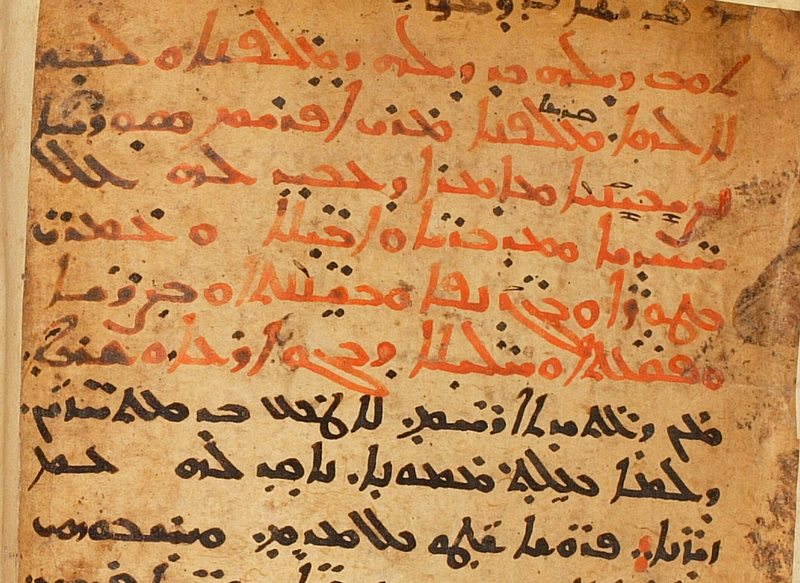 These Syriac authors show the depth of their knowledge of the language in being able to construct poems in these forms, and students may find their practice sharpened by studying these texts more closely. It may be easy to get caught up in the formalism of poetry with acrostic or other letter-focused features, but as a reading of the examples singled out here will show, this is not mere form — not that that’s always a bad thing. Plenty is still said here, and said well. Bickell, G. “Noch ein Wort über alphabetische und akrostichische Lieder Ephräms.” ZDMG 26 (1872): 809-811. Brock, S.P. “The Dispute Poem: From Sumer to Syriac.” Bayn al-Nahrayn 7  (1979): 417-426. ________. Sogyātā mgabbyātā. Holland, 1982. ________. “Syriac Dialogue Poems: Marginalia to a Recent Edition.” Le Muséon 97:1-2 (1984): 28-58. ________. “An Acrostic Poem on the Soul by Jacob of Serugh.” Sobornost 23:1 (2001): 40-44. ________. “Poetry and Hymnography (3): Syriac.” Pages 657-671 in The Oxford Handbook of Early Christian Studies. Edited by S.A. Harvey and D.G. Hunter. Oxford, 2008. Brock, S.P. and G.A. Kiraz. 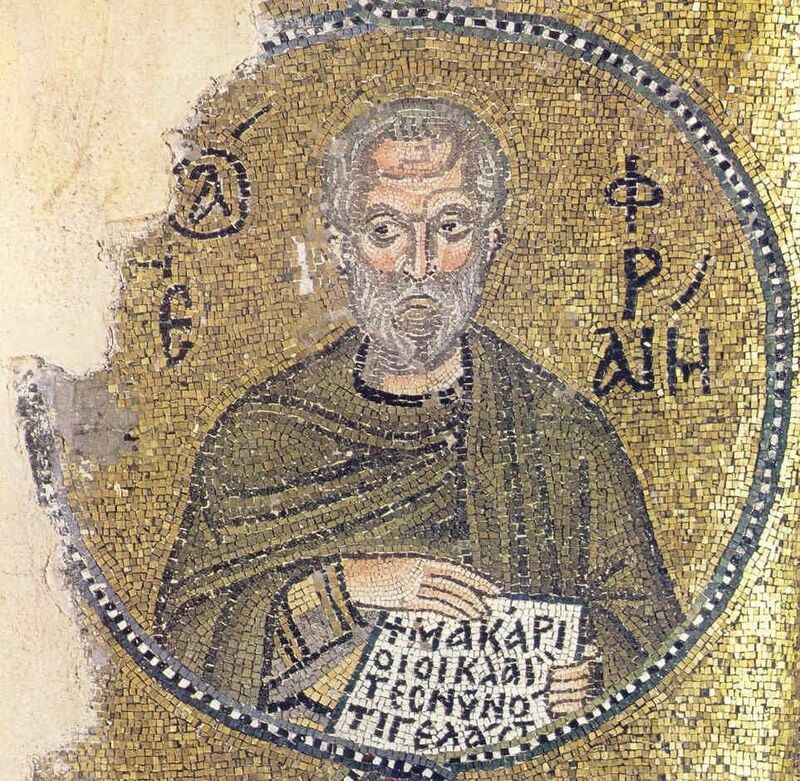 Ephrem the Syrian: Select Poems. Eastern Christian Texts 2. Provo, 2006. Cardahi, G. Liber thesauri de arte poëtica Syrorum nec non de eorum poetarum vitis et carminibus. Rome, 1875. Geiger, Abraham, “Alphabetische und akrostichontische Lieder bei Ephräm.” ZDMG (1867): 469-476. Hölscher, G. Syrische Verskunst. Leipzig, 1932. Rev. by G. Bergsträsser in Orientalistische Literaturzeitung 36 (1933): 748-754. Martin, J.-P.P. De la métrique chez les Syriens. Abhandlungen für die Kunde des Morgenlandes 7.2. Leipzig, 1879. Palmer, A. “St Ephrem of Syria’s Hymn on Faith 7: An Ode on His Own Name.” Sobornost / Eastern Churches Review 17:1 (1995): 28-40. ________. “Words, Silences, and the Silent Word: Acrostics and Empty Columns in Saint Ephraem’s Hymns on Faith.” PdO 20 (1995): 129-200. ________. “Akrostich Poems: Restoring Ephraim’s Madroshe.” The Harp 15 (2002): 275-287. ________. “Restoring the ABC in Ephraim’s Cycles on Faith and Paradise.” JECS 55:3-4 (2003): 147-194. Schlögl, N. “Das Alphabet des Siraciden (Eccl. 51, 13-29). Eine textkritische Studie.” ZDMG 53 (1899): 669-682. Sprengling, M. “Antonius Rhetor on Versification, with an Introduction and Two Appendices.” American Journal of Semitic Languages and Literatures 32:3 (1916): 145-216. ________. “Severus bar Shakko’s Poetics, Part II.” American Journal of Semitic Languages and Literatures 32:4 (1916): 293-308.